Commitment to the Altair STEM initiative. 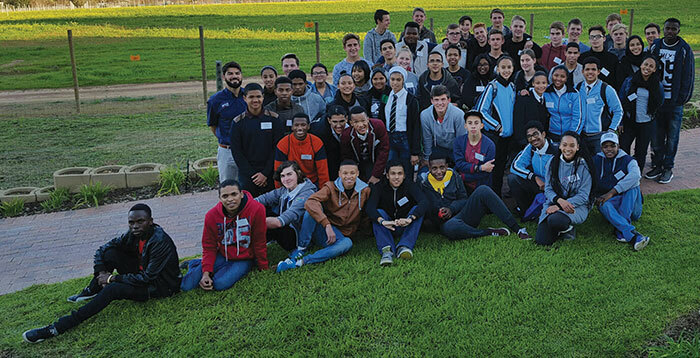 Altair South Africa once again hosted a group of potential engineering students as part of their STEM (Science, Technology, Engineering & Maths) initiative to expose them to the opportunities available in the engineering field. “The main criteria to attend the day was obviously an interest in studying engineering. The project has grown exponentially since we started three years ago, with over 60 learners joining us this year,” explains Gronum Smith, Country Manager of Altair SA. The invitation was extended to all schools in the area including Malibu High, Oval Engineering School, Paul Roos Gymnasium, Kayamandi High, Cloetesville High and Rhenish Girls High in Stellenbosch, and Parel Vallei, Strand High and Hottentots Holland in the Somerset West area. “This year we tested their analytical skills with practical sessions, which they seemed to enjoy, along with all the presentations,” said Gronum. The keynote speaker was Christopher Maxwell from Bloodhound SSC, who spoke about the technology behind building a car to go faster than 1 000 mph, which resulted in lots of questions from the audience. Other presentations, along with those from Altair, focused on each engineering discipline including aeronautical (SA National Space Agency), industrial (University of Stellenbosch), mechatronics (Greenchain Engineering), civil (By Design), chemical (Veolia) and electrical/software (Alphawave). Feedback from the pupils was positive and many of them appreciated the value of such a day. The common thread throughout the day by all the presenters was work hard, be passionate, take risks, be entrepreneurial and realise that learning never ends. “One pupil’s comment at the end of the day of ‘I had never considered mechanical engineering but had decided during the mechanical engineering session that it is my chosen career and I just wanted to say thank you for that’ definitely makes a day like this worthwhile,” said Gronum.